This stunning designer style house lies literally a stone's throw from the entrance to the Amistad Park - one of the largest eco reserves in the world. 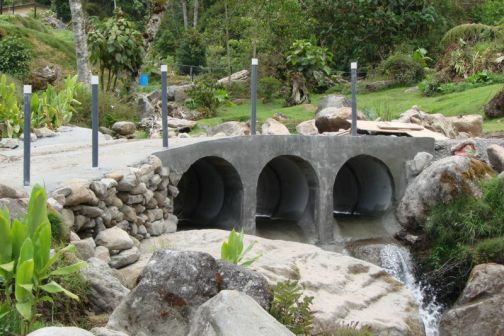 This is an area of outstanding natural beauty and many newspaper and Internet articles refer to this area as the Shangri-La valley of Panama. 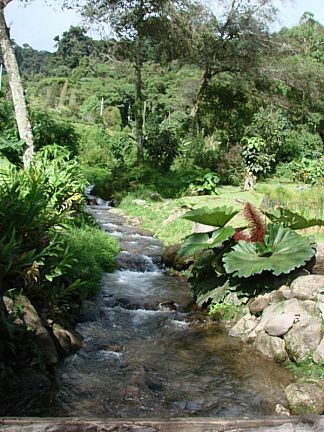 As you drive up to the house you pass over two of the three streams or rivers that surround the house. Sitting majestically on a granite outcrop the home suggests a style reminiscent of the late, great, architect Frank lloyd Wright. As you walk the ornate stone path to the front door, you could be graced with the sight of numerous beautifully coloured tropical birds, including humming birds, tanagers and even the resplendant Quetzal. As you enter the home through the wooden french doors, your eyes will catch some of the 52 high-quality windows that surround the house. 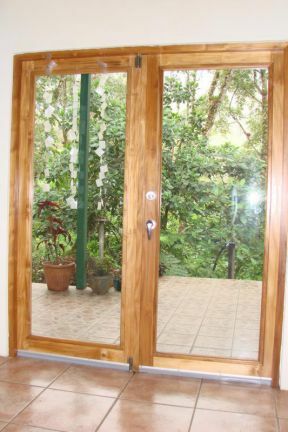 These windows were specially imported from Costa Rica and afford breathtaking views of the rivers and surrounding hills. The owners were sticklers for high North American quality and that is reflected in their use of 10 inch steel beams and of a building material known as M2. This curtain walling type product gives excellent insulation and has a high seismic resistant ability. On entering the home your eyes will be drawn imediately to the towering stone faced, double fireplace. Nights here in the cloud forest can be cool at time and this unique two sided fireplace provides warmth and visual comfort in both the living room and the kitchen. 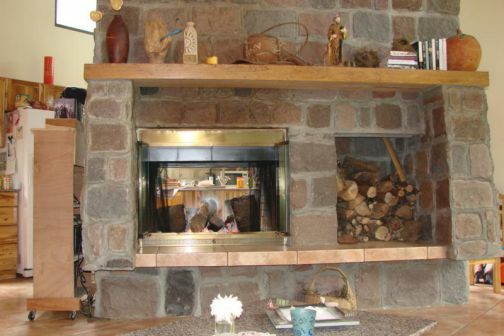 Passing around the fireplace you enter the kitchen area tastefully finished with granite counter tops. To the left of the main entrance is the 650 square foot master bedroom. This large tiled bedroom has windows that will give you many memorable mornings waking up to the sound of the rushing stream and the lilting melodies of a thousand birds. There is a full bath and shower and seperate toilet area with privacy door. The home comes with a full laundry area with enclosed doors. Gazing up from the master bed you see that the home has extensive use of teak. 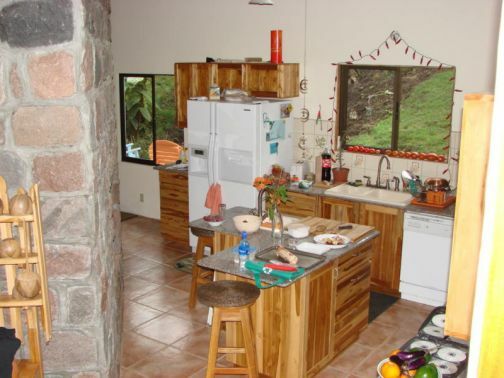 The home has hi-speed Internet and hot water throughout. 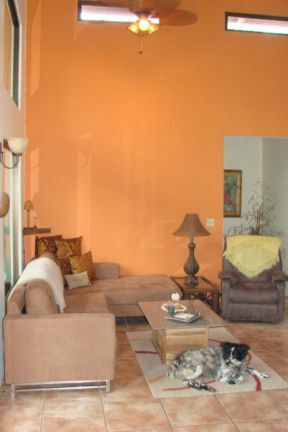 To the northern end of the home is the two story ( 500 square foot per floor) guest accomodation. 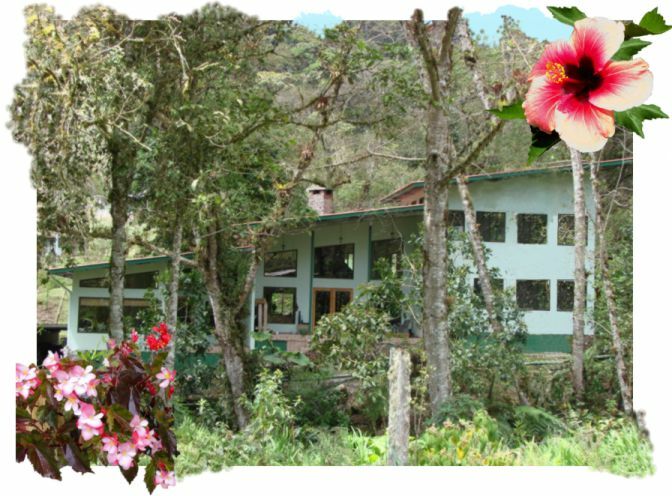 The home could easily convert to a high end eco lodge or a bed & breakfast. As we mentioned earlier the home is within seconds of walking time to the entrance to the Amistad International Park. This park has thousands of mountain trails that take you to the top and over the continental divide. The park is visited every year by thousands of naturalists and birdwatchers. The gardens of the Amistad Park House are a true relaxation delight. The colours of the Calla Lillies, Fuchsia's, Citronella and Lemon Grass plants, together with a host of native flowers and trees make every stroll an experience in itself. There is a small casita on the grounds, this could be additional rental accomodation or the residence for your permanent grounds keeper. After a hard day exploring the national Park what could be better than relaxing in your very own Jacuzzi hot tub with a glass of your favourite wine. 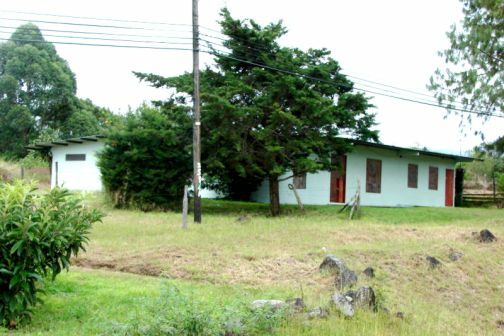 The property is fully titled and has 18 years remaining on its Panamanian property tax exemption. 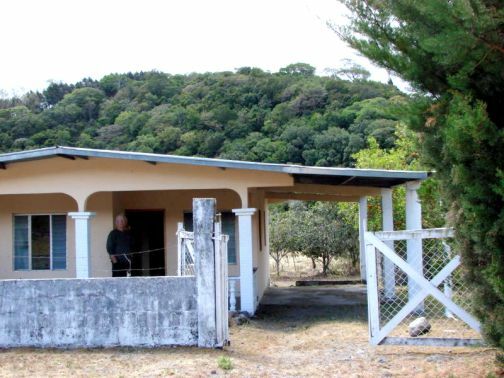 The property is legally protected inside a Panamanian "Foundation." 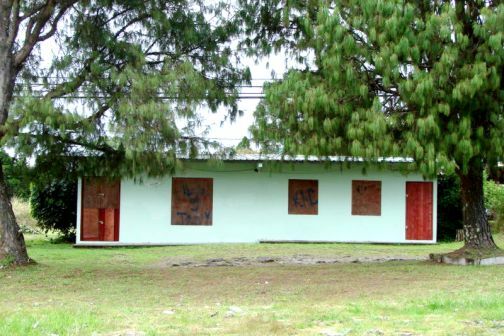 In addition the AMISTAD park house owners also have on offer One commercial property in Volcan. One vacant lot and finally a small riverside house in Paso Ancho. The most outstanding feature with this house is the LOCATION. 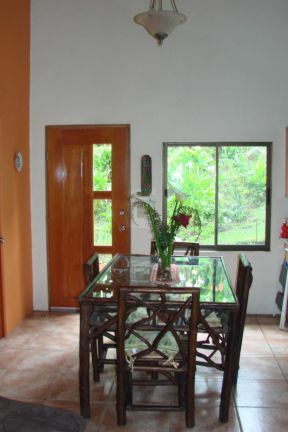 With stunning views to both the Chiriqui Viejo river and to the Baru Volcano. 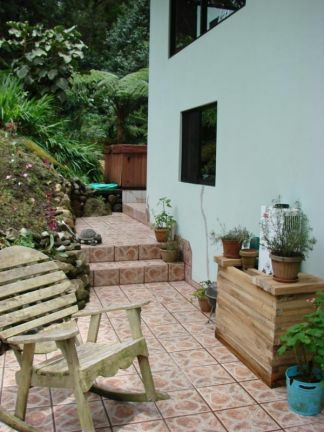 An ideal investor or "Starter" home in the "Eternal Spring" mountains of Chiriqui, Panama. 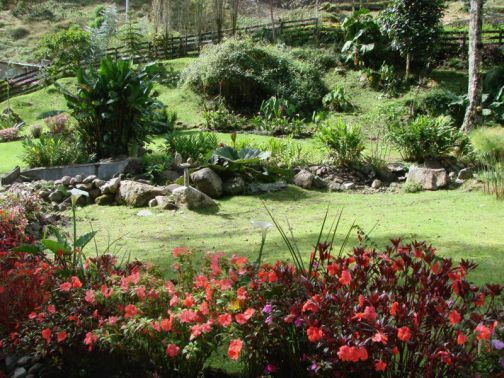 This 2 bed, 1 bath house has spectacular views both to the Chiriqui Viejo river and also to Panama's highest peak the 11,400 foot Baru Volcano. OLD DULCERIA , Paso Ancho road. 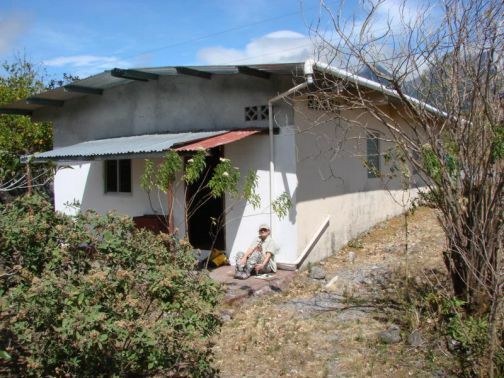 This former candy factory is zoned commercial and lies a few minutes from downtown Volcan on the Main Paso Ancho Road. 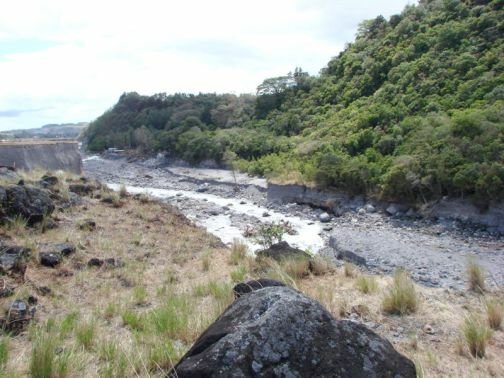 The property is 1350 square meters in size, has water and power. VACANT LOT adjoining OLD DULCERIA. 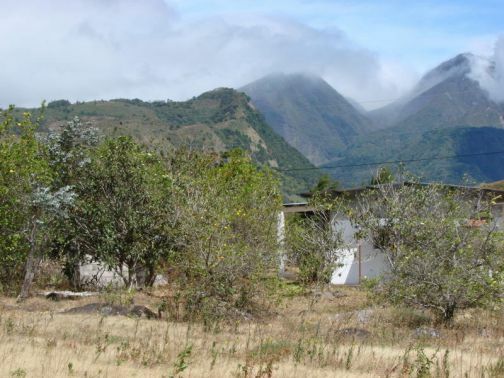 Finally we offer a vacant lot, that is directly BEHIND and JOINS the commercial property on the outskirts of Volcan. 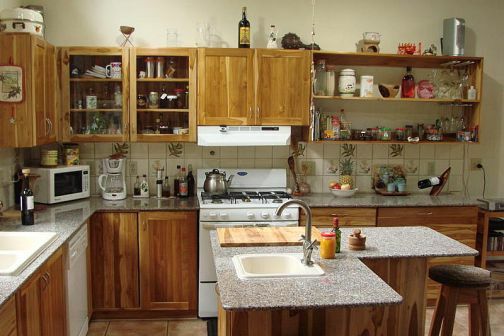 There is electric to the property which is 1350 square meters in size. It is CLEAR titled. Contact the owners regarding puchasing BOTH lot and property. email and ask about "VACANT LOT"